Going Digital: What Does it Mean? Digital supply chains go beyond saving money — they create competitive advantages and revenue and can be achieved with a better approach. The industry is buzzing about the concept of digitizing the supply chain. Stories flood the media about how companies must digitize, but the process is still in its early years. Only one-third of 490 top supply chain executives recently surveyed by Cognizant and Forbes Insights believe their companies have achieved high maturity of digitization of their supply chain in strategy, planning or execution. But what does that mean anyway? Most companies still operate hybrid supply chains of paper-based and IT-supported processes. They work with multiple parties to communicate via a mixed model of paper, email, and phone. Some information is digitized, some remains physical, and most is kept in silos; an inefficient and severely flawed way of operating in a fast-paced environment. But foremost, non-digital supply chains are missing out on significant opportunities to save time, money and resources. In simple terms, digitizing is creating a digital (the bits and bytes) version of analog or physical things like paper documents, images, even color swatches or product samples. Some companies already have moved their internal teams to digital platforms but stop there, never shifting their strategies to become truly digital across every link in their entire supply chain. While digitizing and automation is highly beneficial, the data that comes from these external parties needs to be shared across geographical, physical, and at times, other digital boundaries. Digital supply chains merge the physical and digital, advancing capabilities that improve and transform operations and processes. It turns data (those bits and bytes) into actionable insights that can change business models and offer new revenue and value-producing opportunities. As the digital supply chain evolves, the focus on the product getting to customers sharpens. Digitizing helps increase efficiency so companies can better engage with their customers to precisely address their particular needs. Customer-centricity then becomes a desirable outcome of the digital supply chain, which has the potential to alter the way we work and serve the end consumer. According to Gartner, “digitalization is increasing demand for agility and forcing new business models, which is boosting spending in the supply chain management market.” By 2021, Gartner predicts that well over $19 billion will be spent on supply chain management software. A supply chain is only as strong as its weakest link, and supply chain partners who have yet to take advantage of the digital supply chain will find that every single process, communication, connection, and point in the supply chain are themselves weak links. By digitally transforming the supply chain with a robust and comprehensive GTM platform, companies will create more value and greatly improve margins, agility and risk management. Companies could show improvement of margins up to 0.5 percent of their annual revenue with the new opportunities that a digital supply chain provides. According to Fortune Insights, the most progressive companies it surveyed are seeing revenue increases of 10 percent or more from supply chain digitization, 10 percent or more in operating margins, and significant improvement in risk mitigation. Collaborate: Share the information across the global supply chain network with all parties. Step away from disparate systems that cause operational inefficiencies, bottlenecks, and labor-intensive dialogues, and centralize the flow of information across the end-to-end network to improve real-time visibility and accelerate time-to-market. Automate: Automatically processing the information of recurrent procedures in sourcing, logistics, cross-border trade, and compliance will dramatically improve operating efficiencies and financial performance. Digitized information can be handled quickly, with processes executed transparently in a timely manner. Analyze: Analyze performance metrics for insight. Prioritize efforts by determining the opportunities and risks to further improve supply chain efficiencies, and start gathering the metrics and analyzing the historical global supply chain information for value. Agility: A centralized point for the end-to-end supply chain process creates ‘control-tower’ visibility, providing decision makers with the real-time awareness and insight they need to take effective action. Evolve and adapt: A fully digitized GTM platform receives customer- or seller-generated data and applies it to production to help improve business, enhance customer experience, and increase productivity. The age of the paper-based, siloed supply chain is dying. For supply chain entities, the most important question is not just how increasing technology will help reach new markets, define new strategies, or reach more customers more adequately. Instead, the question asks if this new technology can be implemented fast enough to prevent a company’s extinction. Digitization itself is a means to an end; the end goal is to derive the most value from a supply chain, but a majority of companies are still struggling to advance. Developing a digital supply chain is more than just a money saver; it can create competitive advantages and increase growth. Companies must transform the way they do business and take the leap into making their supply chains digital, otherwise, they will be left behind. 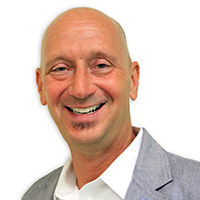 Gary Barraco is Director, Global Product Marketing at Amber Road. He is responsible for developing strategic product marketing direction and presenting the Amber Road brand and solutions worldwide. As the platform evangelist, Gary develops and launches customer insights, go-to-market plans, product messaging and content, and field marketing tactics which establish Amber Road’s solutions as a standard in the Global Trade Management space.